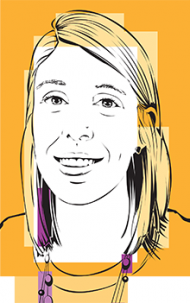 Erin Hinrichs, MinnPost's education reporter, covers pre-K, K-12 and higher education. A Gustavus Adolphus grad, she also has a master’s degree in journalism from the University of Wisconsin-Madison. Hinrichs' coverage ranges from local school board meetings to national education policies, with a special focus on the efforts to improve outcomes for all students in Minnesota. She can be reached at ehinrichs@minnpost.com, and you can follow her on twitter at @EHinrichsNews. The full Legislature will convene later this session to cast votes on two at-large seats, one student at-large seat and one seat from Minnesota’s Fifth Congressional District. The class roster generally includes 20 to 24 students. Half of them are enrolled in special-education services. The other half are general-education students. Among the 30 college and university presidents in the Minnesota State system, half are women and a third are people of color. Minnesota has the widest gap in reading scores between white and nonwhite students in the nation. “The current system our special-education teachers follow is not an easy one. It is repetitive. It is costly. It is burdensome. It is complex. And it is exhausting,” said Denise Dittrich, a spokesperson for the Minnesota School Boards Association. During his first couple of years at Riverland Community College, something as basic as not being able to afford food threatened to derail Oballa Oballa. Now he’s helping meet other students’ needs. Democratic and Republican legislative leaders express similar appetites for working in a bipartisan fashion to set the education budget this year. Systemic education issues in the spotlight this year signaled a growing appetite for change — in how students’ health needs are met in school, in how students are disciplined, in how school safety is addressed, and more. Often it means entering a two-week period of instability in housing, in meals, in daily routine — the very things that youth need to feel secure.